Grain elevator in Leader, SK, Feb 2018. Copyright by Michael Truman. 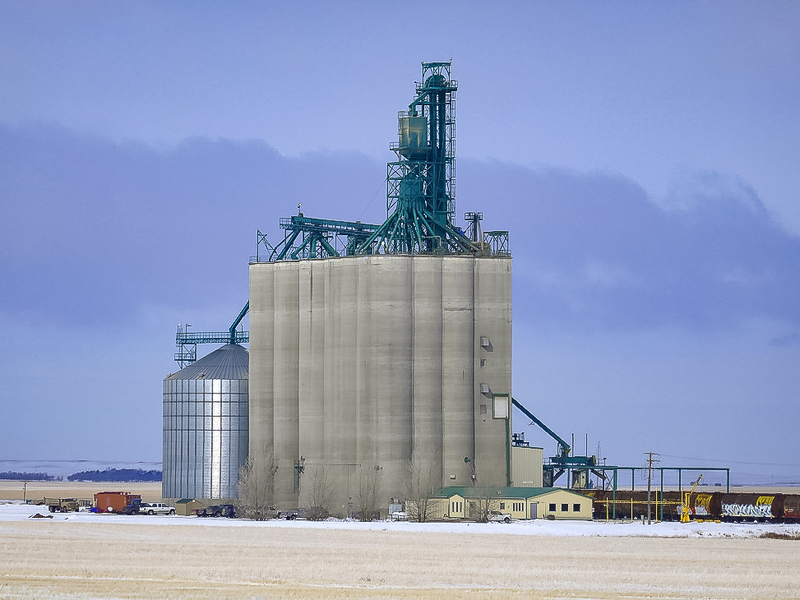 There was one grain elevator in Leader, Saskatchewan until December 2018. 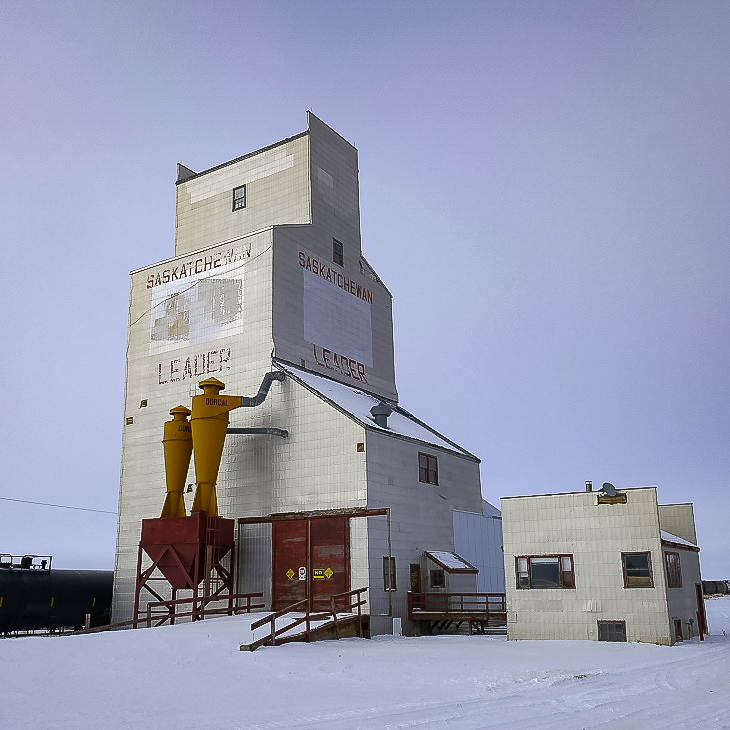 This elevator was built in 1966 and was owned by the Saskatchewan Wheat Pool. It was owned by the Great Sandhills Terminal, but since the acquisition of the GST by G3, it is uncertain who owned the elevator after that. The elevator was demolished in mid December 2018. There is a large concrete elevator east of Leader, now owned by G3. The G3 elevator has a capacity of 23,500 tonnes and can spot 112 rail cars. G3 grain elevator outside Leader, SK, Feb 2018. Copyright by Michael Truman. Leader features a caboose housing a tourist information centre. 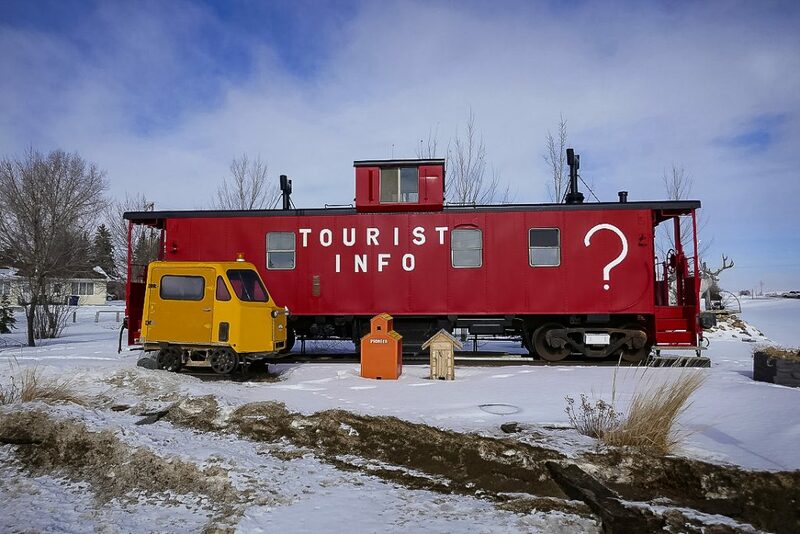 Tourist information caboose in Leader, SK, Feb 2018. Copyright by Michael Truman. Leader was the location of an iconic “bucket list” photo of the elevator with lightning, taken by Ryan Wünsch.